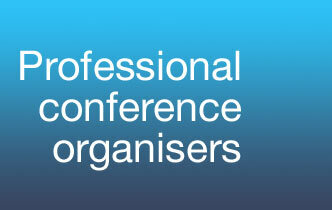 Meeting Makers are specialists in conference management for the academic community. With us you will receive dedicated scientific programme management that’s based on 30 years’ experience yet completely up to date, with the latest online technology providing full abstract administration via the web. With Meeting Makers, authors can easily submit their abstracts online from across the world using our bespoke online abstract submission systems. Peer review of abstracts can also be done efficiently and quickly online, by theme and with blind scoring if required. At the end of the review process, we will contact all corresponding authors on your behalf, to let them know if their abstract has been accepted or rejected and liaise with them on programming and audiovisual requirements. We will manage poster sessions for you, organising the displays throughout the event in electronic or traditional board formats. Abstracts can be presented as a Book of Abstracts, a Journal supplement, a USB memory stick, on the conference website or on CD ROM. We will ensure any finished material is consistent with the graphic design of the conference as a whole and we can also work with publishers to publish proceedings. As part of our scientific programme management we will liaise with the scientific programme committee, authors and speakers to arrive at the ideal programme, making best use of your contracted space at the venue and ensuring that all audio-visual requirements will be met. We would be happy to run through any of our online systems with you, covering how they can be customised and demonstrating they are quick, accessible, accurate and secure. To find out more about out abstract administration services, call us now on +44(0) 141 945 6880 or email Meeting Makers here, and we’ll call you.